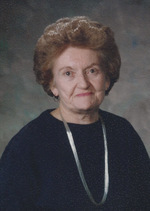 Betty Jean (Harrover) Beasley, 92, of Pagosa Springs, Colorado, passed away on January 19, 2019 at Pine Ridge Extended Care Center. She was born on October 31, 1926 in Alva, Oklahoma, to Benjamin Franklin Harrover and Mary Lockhart Vest. She is survived by her children: son Mark Beasley of Pagosa Springs, daughters Jan Beasley of Pagosa Springs, and Sue Jackson (John) of Mancos, Colorado, daughter-in-law Joan Landau (Michael) of Littleton, Colorado; grandchildren: Naomi, Dawn, Noah (Brittany), Ty, Jori (Tamara), Jack (Camille); great granddaughter Chenoa, and many beloved nieces and nephews. She is predeceased by her parents, husband Earle, son Michael, and brother, Ben Harrover. Betty married Earle Anderson Beasley in 1946 at the First Presbyterian Church in her hometown of Alva, Oklahoma, where they met in 1943 at a Halloween church dance on her 17th birthday. They enjoyed a full life as a devoted couple during 70 years of marriage. After high school, Betty earned a B.A. in Spanish in 1948 at Northwestern Oklahoma State University in Alva. She worked at the college library and was Editor-in-Chief of The Northwestern News. She was a life member of Delta Zeta sorority. With Betty’s encouragement and support, Earle served in the U.S. Air Force from 1950 to 1967, which provided the opportunity for the family to experience many different places and create lasting memories and friendships through work, school and church. Upon Earle’s retirement from the Air Force, the family moved to Colorado, living in Gunnison and the Denver area. In 1974 they settled in Pagosa Springs, which fulfilled their dream to live in the mountains of Southwest Colorado, near Betty’s childhood family cabin in South Fork. Throughout the years, Betty worked as a school secretary, first at Sheridan High School, and in Archuleta School District 50-JT, where she retired after many years. She especially enjoyed working with the kids and their families. Betty was an accomplished seamstress and excelled at all types of needlework; she was a member of the Embroiderers Guild of America (Four Corners Chapter and Manos Encantadas de Santa Fe Chapter). Her special creative touch was always evident in making handmade gifts, personalizing clothing, and beautifying the family home. A passionate music lover, Betty played the piano and sang in many church choirs and community choruses throughout her life. She was a lifelong member of the Presbyterian Church, and also attended Community United Methodist Church in Pagosa Springs and volunteered in the church thrift store. As the daughter of the local hardware store owner who had ridden in a wagon as a young boy in the Oklahoma Land Rush, she grew up proud of her pioneer heritage and this sparked her lifelong interest in family history and genealogy. In their retirement years, Betty and Earle traveled throughout the country, and she especially enjoyed going to Nova Scotia, which she was drawn to by her Scottish roots. She loved nature: sitting by a rushing river, cross country skiing, camping, picnicking, exploring mountain trails, or walking on the beach. great-grandmother, sister, and aunt. She also treasured many lifelong friendships. As a military spouse, she fulfilled many responsibilities and duties while lovingly raising four children. She loved being a grandmother, and her playful spirit brought much joy. She was a loving, sweet, generous spirit with a beautiful smile, who blessed the lives of everyone who knew her; she will be deeply missed. A memorial service will be held at 1 p.m. on Saturday, March 9, 2019 at the Community United Methodist Church, 434 Lewis Street, Pagosa Springs, Colorado. Rev. Don Strait will officiate. Burial will take place later in the spring, alongside her late husband at Santa Fe National Cemetery. Memorial contributions may be given to the Community United Methodist Church, P.O. Box 300, Pagosa Springs, Colorado 81147.